A Natural, Safe Way to Kick Cravings & Unwanted Weight… and More! Are you ready to start transforming your life? Your Virtual Gastric Band Life-Change Programme! Have you tried all the diets and still can’t keep off those unwanted kilos? They just don’t seem to work long term. Sure you may have lost weight, even quite a lot or got down to your goal weight, but somehow it’s started to creep back on again? Sound familiar? If it does, this programme could be the right solution for you as it’s likely to be all ‘in your mind’! I offer various options: private (one to one) and groups. Check out which suits you best. Plus you get upto 1 year of back-up support. The Virtual Gastric Band Can Help You! 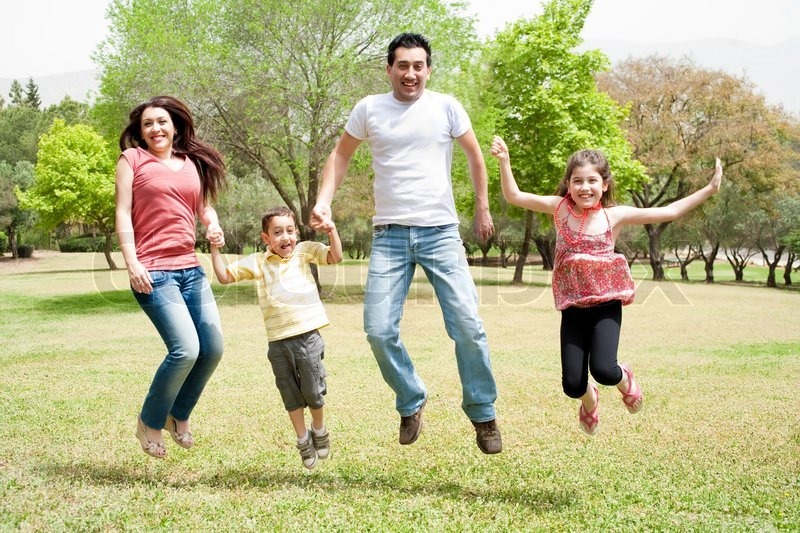 Using hypnosis is a highly effective programme to get rid of those unwanted kilos? It is not a diet! You do not stop eating foods you enjoy. You just eat much smaller quantities! The Virtual Gastric Band can help get your subconscious working in harmony with what you consciously want – lose weight – making it easier for you to shed those kilos. Once the two “people in your mind” work together, you’ll find you won’t even want unhealthy food and/or drinks. 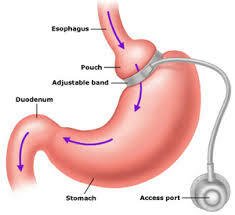 Check out this article and video: ‘Virtual’ gastric band helps desperate people to shed kilos. This can be you! You can give yourself that extra edge and transform your life. This was so much more than weight loss! Starting my journey on this (VGB programme) which I thought was all about weight loss. How wrong I was! My relationship with food was unhealthy, fraught with binge eating and feeling guilty for overeating! Feeling helpless to change! I tried every diet going, the promise of losing weight with a pill, a shake or a funny looking band for my thighs, yip I tried it all! Nothing seemed to work for me (long term)! If I didn’t lose weight in the first two days I would quit and think ‘stuff it’, I may as well eat all of those biscuits! I do the shopping so I used to buy all the bad food! And I was teaching my kids the same bad habits as mine. I used to be slim in my 20’s, but once I had kids it all changed, tiredness kicked in and sugar became my friend for a quick fix! My weight pulled on from there! I hated myself . I had heard about the virtual gastric band on the radio, sitting in Auckland traffic on my way to work! This really appealed to me, sounded non-invasive and attractive to a surgery phobia ridden girl like me! Then I was cleaning a friend’s house and noticed her weight loss and asked her what she had being doing! The conversation on the virtual gastric band then happened! So I quizzed her more and asked where one would get this done etc! Sue Wood’s number was handed to me and wham I called and made an appointment to see Sue from Alpha Hypnosis. The day came for my first session, I was excited and full of hope, I was finally going to be my ideal weight! In no time at all I would be 20 kilos lighter! But as I found out, this was so much more than weight loss! It was about changing my thoughts deep within and learning about why I over eat! This was not going to be a quick fix. I had my ups and downs during the Christmas new-year period, when I came to a very heady realisation “this was a life-long journey and not a lose weight quick fix”. Turning my negative food thoughts into positive ones and being ok with three small meals a day took some retraining, but now I finally feel like I’m on the right track to success! It was a lot more than just being about food tho. It was about breaking the destructive thoughts inside my head of failure and ‘stuff- it’ thoughts took some retraining! I have completed seven sessions with Sue and feel wonderful, positive and definitely more confident to continue! I will smash my goals, it may take a little longer than first thought, but I’m ok with that! I don’t feel hungry anymore and I’m not reaching for the sweet food for energy, I get all I need from my three small meals a day! I walk my dog every morning and have plenty of energy! My thoughts around food have changed into positive ones. This really was all about changing my negative thoughts into positive ones. This really has been a journey of enlightenment and being kind to myself is my main goal, the rest will follow! Thank you Sue for our sessions! This was so much more than weight loss. It was about changing my thoughts deep within and learning about why I over eat! This was not going to be a quick fix. I had my ups and downs during the Christmas new-year period and I came to a very heady realisation “this was a life-long journey and not just a lose weight ‘quick fix’. … I don’t feel hungry anymore and I’m not reaching for the sweet food for energy, I get all I need from my three small meals a day! I walk my dog every morning and have plenty of energy! My thoughts around food have changed into positive ones. This really was all about changing my negative thoughts into positive ones. Hypnotherapy helped me realise that I will no longer fail and that I will SUCCEED and I got a higher benefit from (Virtual Gastric Band) than I expected. It is a tool I highly recommend and credit highly! I have found unbelievable energy, confidence, drive and passion for my life again, and the motivation I feel now, to get on and live my life & achieve my goals, is great! I found (the programme) to be the ideal tool to assist me and give me the motivation to choose healthier choices and get me closer to achieving my goals. And I no longer feel the need to finish the bag of biscuits as soon as they’re open? This was one of the best decisions I have made, concerning my health, in years. After being to the doctors and realising I needed to do something about my weight, to improve my health, I contacted Sue Wood at Alpha Hypnosis. This was one of the best decisions I have made, concerning my health, in years. I could not believe after my first session how little I needed to eat to feel satisfied. I have not felt the need to snack between meals, which was what I have previously done. One of the things that was a surprise, was that I can still eat the things I like. What I have found is I have no desire to eat some food that I once could not resist. I am now so much more aware of when I have had enough and I can stop eating. I really enjoy doing my daily exercise. My knees and hip are not hurting the way they once did. I also have more energy. Sue is always so positive and makes me realise I am doing really well and I will continue to. Thank you, Sue, for your amazing support. It’s been an amazing turn around! I used to think about food all the time, so what surprised me is that since starting with Sue Wood and the Virtual Gastric Band, I don’t think about food anymore. I’ve lost 2.4kgs this week! I find the 3 small meals a day really satisfy me. I’ve had the very occasional snack, way smaller than before, but no “cravings” like I had before. Snacking was a big issue for me previously. I would sit on the coach and eat my way through a packet of biscuits. Now I just have one IF I feel like it. I like that this is not depriving me of foods that I like, I just have much smaller quantities. I haven’t really wanted biscuits, so only eat them very occasionally. I chose to park further away from the school now and walk to pick the kids up. Then I take them to the park, and while they’re playing I do some pull ups on the bars, then afterwards we do a big walk around the park. It’s great! Those walks have been huge for us and the kids love it. They get back home really happy and revitalised, not tired at all! It’s really benefitted them in so many ways. They’re spending quality time with me, getting lots of fresh air and chatting about their day. And when we get home they don’t want to blob on the couch like we used to. My son wants to help me get dinner, and my daughter gets her scooter out. The kids also have a much better mind set, because I have too. I’m much more positive about things. It’s a big deal. When I look back I realise I used to eat the portion size of a grown man, maybe two! Since the start of this programme, I’ve had much smaller and healthier meals. I’ve done a complete about turn. I’m really feeling so positive. I’m much more in control of my eating. I feel really good about it. And it’s been so easy because I’ve had so much energy. I’m surprisingly more energetic. I’m not really a morning person, but as soon as I wake up I listen to the (support) audio, have a drink of water, a small breakfast and then I have a good day! Days haven’t been this good for a long time, not smooth like I’m having now. Plus, I used to suffer from depression, so my days were not too good or pretty awful. Now I feel good or very good every day! It’s been an amazing turn around! I would never have picked it would be so powerful, and in so many different ways. Which is the Best VGB Option For You? Since the initial trial, Sheila devloped the programme further so it is now 4 sessions that form the basic programme. This is the only VGB programme to have been the subject a clinical study. Sheila has been working from a GP’s surgery and she has conducted a further trial for one of the doctors there. Ten patients were taken, some of whom had been refused gastric surgery due to financial constraints imposed by the NHS. Again, the programme was found to produce positive results, this time for nine out of the ten patients. Back in 2011, TV’s Dr Oz was talking about hypnotherapy and weight loss. On that programme, his guest was Paul McKenna, Hypnotherapist and trainer, who explained how hypnosis can make it much easier for you to lose weight. Dr Oz explained that there are two patterns that Paul McKenna thinks keeps everyone from being trim…. Emotional Eating – this is when you eat when you are lonely, bored, upset, frustrated, etc. We call it ‘Head Hunger”. Obsessive Dieting – you try every diet that you can think of: high protein; low fat; high fat; low carb; weight loss pills; etc, etc. All you can think about is dieting, and eating. You can start a diet on Monday, and within 2-3 days you eat something not allowed in your diet, and the diet goes out the window until the next time. These are psychological patterns, so that when you can’t stick to your diet it can lead to negative feelings of guilt, anger and frustration. You no longer feel in control of your eating or your life. Sound familiar? This is NOT your fault! It’s likely to have happened gradually, probably over a few or many years. And this Virtual Gastric Band Life Change programme can help you address your relationship with food and help you resolve past issues, and give you long term support to see you though. This is not a “quick fix” or a “magic wand”. If that’s what you want, you’ve come to the wrong place. And you’ve probably triedlots of those types of ‘diets’ and programmes before? And where has it got you if you still need to lose weight? Lower your expectations – this is not a “lose 3 kgs in 1 week” or even “lose 10 kgs in 10 weeks” I won’t make those type of promises. This is the two of us working together. I bring my expertise to the sessions, the support I give you, but I can’t be with you 24/7. You will need to make some conscious decisions, schedule in time for yourselfand this programme each day. This is a serious life changing programme and eveyone’s journey on it is different. Everyone goes at their own speed. 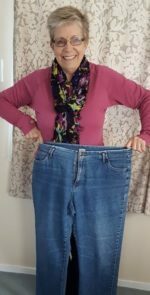 Sue found the Virtual Gastric Band programme has not only assisted her to lose weight (17.5 kilos so far) but it has helped many of her clients. She can assist with many issues around your weight. You crave sweet biscuits / chocolates or sweet drinks etc. You eat when you’re upset / bored / sad / angry, etc. And once you started eating maybe you felt as if you couldn’t stop? Maybe you seem to eat more in the winter, or maybe when you have your period. You may worry about not getting enough food to stop feeling hungry or getting food cravings. You may have had a situation in the past where your subconscious mind believed, for good reasons at the time, that you needed to protect yourself by putting on additional weight. This may have been without you realising it consciously. As this behaviour comes from your subconscious mind, the Virtual Gastric Band programme can help you get your mind in the right place so you no longer crave certain food or drink, eat huge meals. It can help you reduce portion size, reduce or stop snacking and sugary drinks,and move your body more. “I have been a hypnotherapist for a number of years, specialising in weight loss. 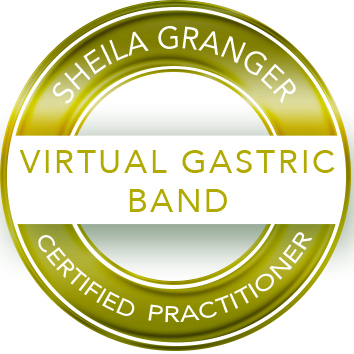 I personally trained with Sheila Granger in 2014 and was very impressed with her Virtual Gastric Band programme. After helping a number of clients with this programme I decided, as I was helping others lose weight with it, I’d better use it myself as my weight had crept up to over 86 kilos, and I was obese even though I kept fairly fit and active. Since starting the VGB I’ve got rid of over 16.5 kilos, down to what turned out to be, my first weight goal. I was happy there for a couple of years. But late last year, after watching a TV documentary “The Truth Abouyt Obesity”,I was shocked to realise that I had “Visceral fat” around my abdomen. That is the dangerous fat that can get around and into your organs. So I decided to get rid of another 8kgs and I’m on track with that. Why is losing weight (and keeping it off) much easier using hypnotherapy? Your Mind: How you think – your self-talk, attitude and past experiences, etc. It is important that you maintain a positive outlook about achieving your goal and being willing to make conscious healthy life choices. To be willing to do whatever it takes to reach your desired outcome. What about using a audio from the internet for hypnosis weight loss? You need to be aware that any audio like this can only ever be very general. It can’t pinpoint the triggers that “drive” you towards unhealthy eating habits and/or lack of motivation to exercise. And they are the ones your personalised Virtual Gastric Band programme will help you deal with. The Virtual Gastric Band programme utilises clinical hypnotherapy and NLP to replicate the effects of gastric surgery, but without the risks that actual surgery can bring about. There are associated risks with any surgery and with gastric band surgery, there are a number of risks – band slippage, food obstruction, infection, perforation (a tear in the wall of the stomach), etc. although these risks are low. There may also be complications afterwards – nausea, vomiting, regurgitation, etc. and patients are more likely to be affected by these. Because of these risk factors, this type of surgery is usually only recommended for seriously obese people, and only after other options have been tried. Compared with the actual Gastric Band surgery this Virtual Gastric Band programme is risk-free – there are none of the after effects that can occur with surgery, plus it’s very cost-effective compared to surgery which can cost between $10,000 – $20,000. With our Virtual Gastric Band programme, we provide five (5) sessions: the 4 session VGB programme plus, I include a 5th session (free) to deal in-depth with past programming that may come up for you. If that is not required, you can take the additional session anytime within 3 months from the 4th session. You can use it as a personal VGB reinforcement or as a coaching session to work towards another of your goals. You also receive a VGB Support Recording on the first session so you can reinforce the programme on a twice daily basis. I also provide a personalised recording on/after the 4th session. All are included in the one payment. 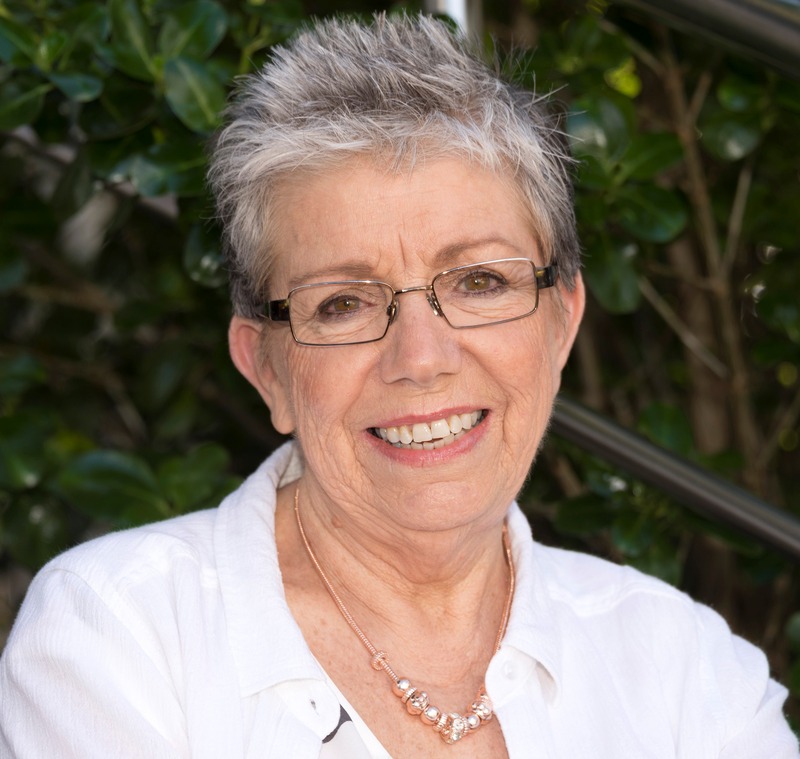 Sue Wood is a Certified Virtual Gastric Band Practitioner, trained personally by the UK’s Sheila Granger, Hypnotherapists and Lifestyle Engineer. Sue has been a clinical hypnotherapist for many years and is a Registered Hypnotherapist with the NZ Hypnotherapist Regsitration Board Inc. The only independent hypnotherapy registration board for hypnotherapy in this country. 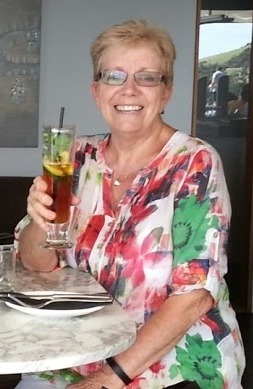 She is also an Honourary Life Member of the NZ Association for Professional hypnotherapists Inc. Click here to read more about Sue Getting rid of unwanted weight is different to quitting smoking, in that you don’t have to smoke, but you do still have to eat! And each time you eat it acts like a trigger. Plus your emotions can also act as triggers. This Virtual Gastric Band programme can help you overcome this. Lose weight fast? It always amazes that some people want to get rid of those unwanted kilos in just a few weeks or a couple of months, even though it may have taken years to put on all those extra kilos. They’re looking for a “quick fix” or want to lose weight fast, which is why so many people flock to various diet and/or exercise programmes. They see a new diet, and think “great, I’ll try that!” Have you “been there, done that”? Scientists have done research that proves that many people have an unrealistic expectation of how fast they can lose weight. * If you’re looking for a quick fix, losing weight too fast can be harmful to your health. The Virtual Gastric Band programme can make it much easier for you to trim centimetres off your body and release those extra kilos in a completely natural, gentle way. This is a much healthier way of getting rid of unwanted kilos than a quick fix diet or clever promises. With Hypnotherapy, your mind has an image of the gastric band around your tummy, which can lead it to “believe” you can eat much smaller meals. It is anticipated this will become your new automatic behaviour, replacing your old unhealthy eating habits. This programme coaches and assists you with getting fitter, better eating (no, not dieting) giving you more motivation for exercising your body. And the Virtual Gastric Band programme ensures you come first. Call Sue on (09) 8377877 to book your appointment!